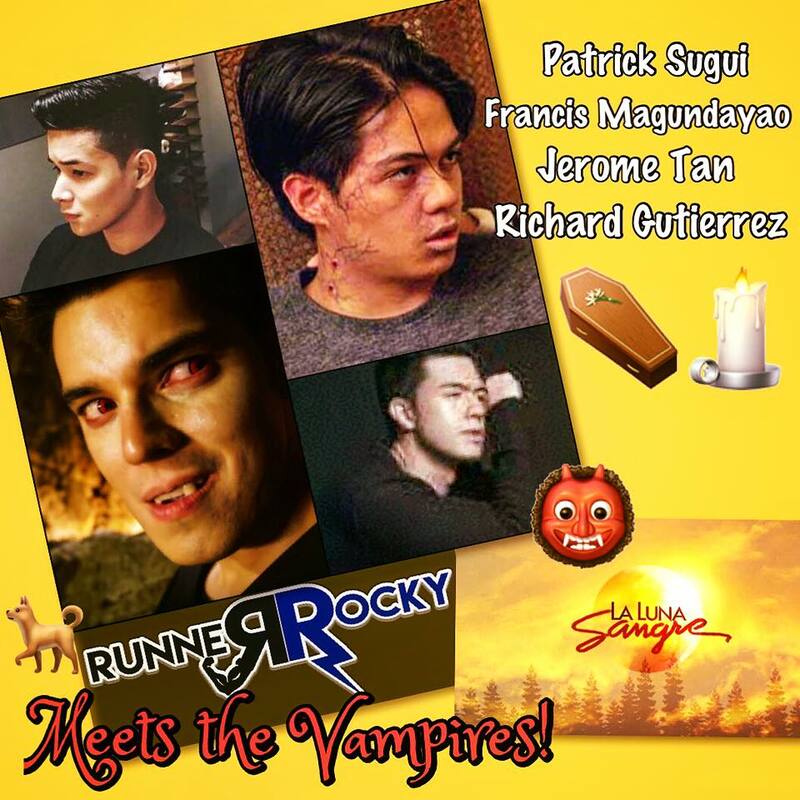 Home / Feature Story / Francis Magundayao / Interview Video / Jerome Tan / La Luna Sangre / Moonchaser / Patrick Sugui / Richard Gutierrez / TV Program / TV Series / TV Show / Vampire / "La Luna Sangre" Special: Runner Rocky Interviews the Vampires! "La Luna Sangre" Special: Runner Rocky Interviews the Vampires! Runner Rocky will be having a special series of interview videos featuring the vampires and the vampire slayer of the hit ABS-CBN fantasy series "La Luna Sangre." In the series, they kill people and sip their blood to keep them strong and healthy. But in real life, what do you think are their secrets to keep them fit, strong, and yummy?! Catch my exclusive one-on-one vlog interviews with the vampires Francis Magundayao (Nognog), Jerome Tan (Andrei), and their Supremo Richard Gutierrez! I'll be featuring also a vampire slayer, a member of the Moonchaser, Patrick Sugui.